Teaching union’s survey finds children are turning up to school sick because parents cannot afford to take time off and sometimes without socks or a coat. Children are turning up to school sick because their parents cannot afford to take time off to care for them, teachers say. School staff are also still seeing youngsters arriving for lessons hungry, tired and wearing inappropriate clothes due to a continuing squeeze on family finances, according to the NASUWT teaching union. It warned that the lives of many children are young people are being “blighted and degraded by poverty and homelessness”. In some cases, teachers reported being aware of pupils living in “Victorian conditions”, of youngsters coming to school with no socks or coat and of more families depending on food banks. 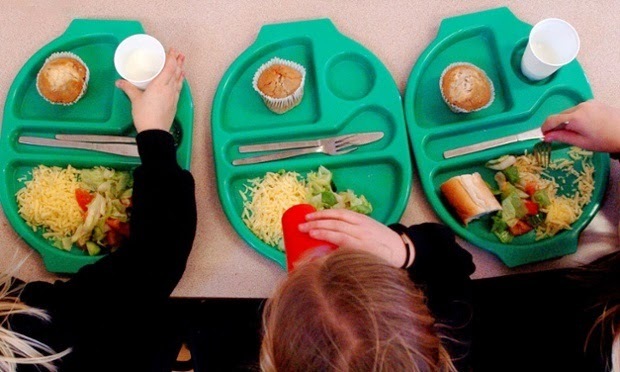 A survey commissioned by the NASUWT found that almost seven in 10 (69%) of teachers said they had seen pupils coming to school hungry, while eight in 10 (80%) had witnessed youngsters turning up in clothes that were inappropriate for the weather and similar proportions reported children arriving in unwashed or damaged and frayed clothing. In addition, 78% said they have seen pupils without appropriate footwear and 55% had seen youngsters who were unable to afford uniform. The findings give an indication of the impact of difficult financial circumstances on children, with around a third (32%) of those polled saying they had seen pupils who arrived or left school halfway through a term because they were forced to leave their homes, the same proportion reported teaching children who were living in temporary accommodation and just over a fifth (22%) said they knew of youngsters who had lost their homes due to money pressures. Many teachers said they had noticed that financial pressures at home had an impact on youngsters in the classroom, saying that pupils in these circumstances were less able to concentrate, more likely to be absent or turn up late, show behaviour problems or lack confidence. Almost one in five (19%) said they had lent or given pupils money, 24% had given food and 62% had lent out or given youngsters equipment. Others said they had seen colleagues, or their school, offer these items. The poll questioned 2,452 teachers.